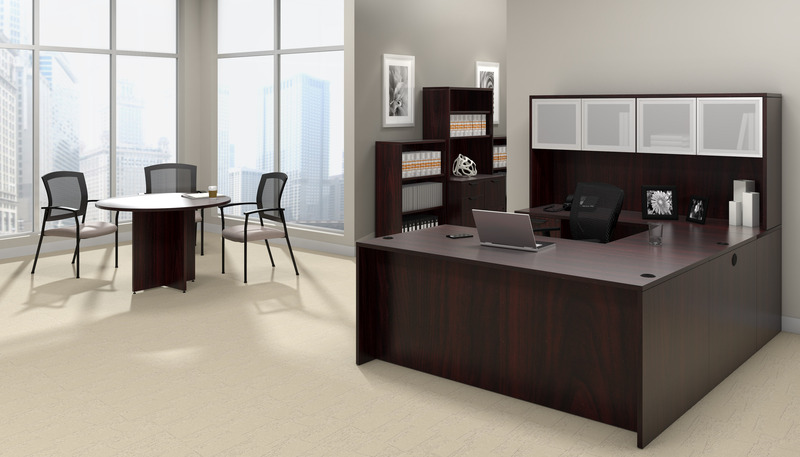 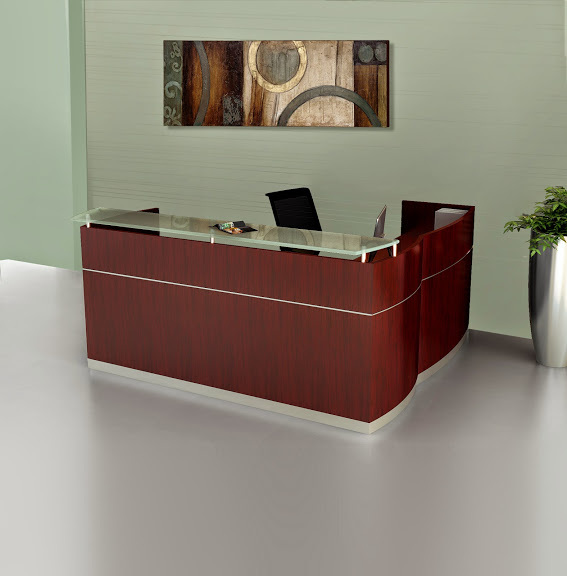 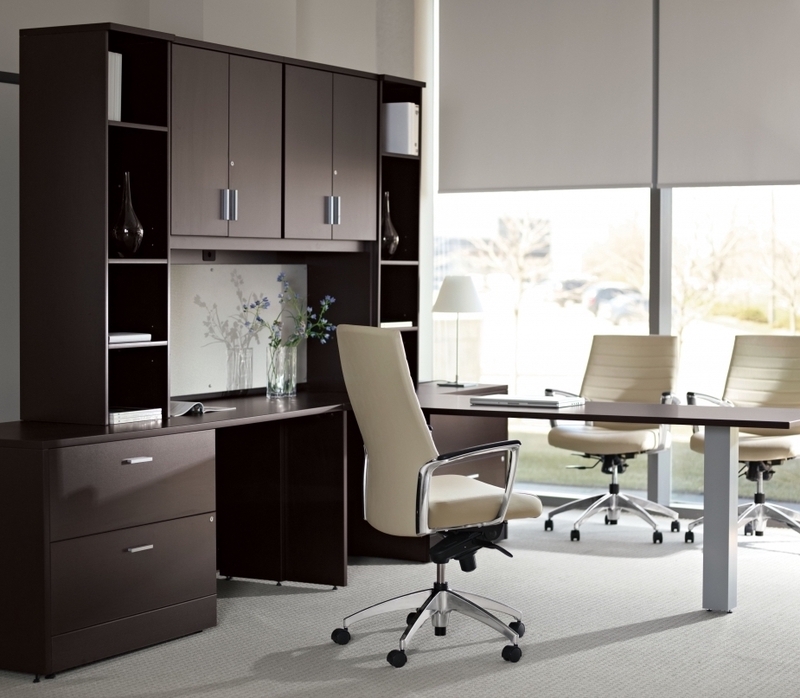 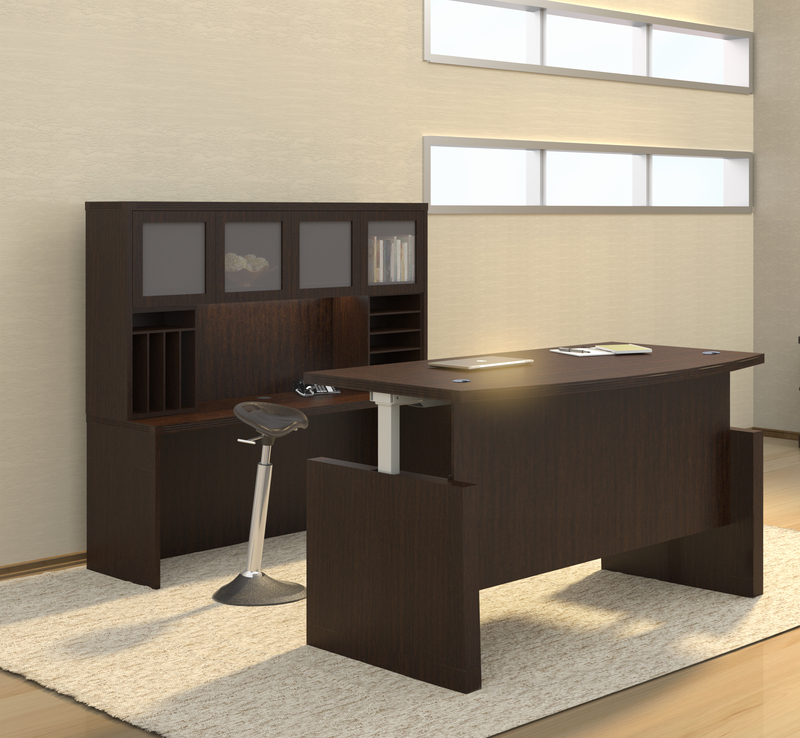 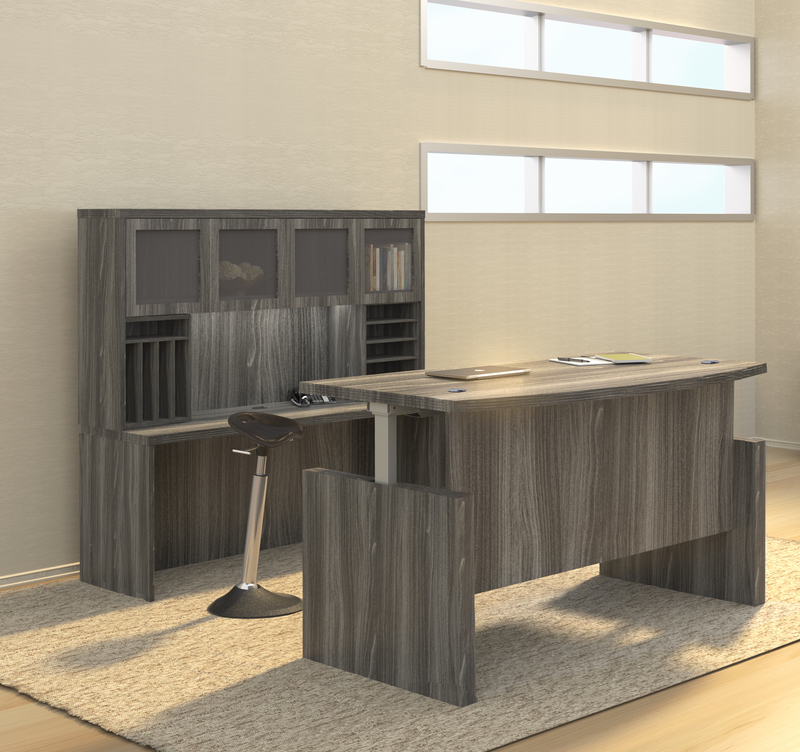 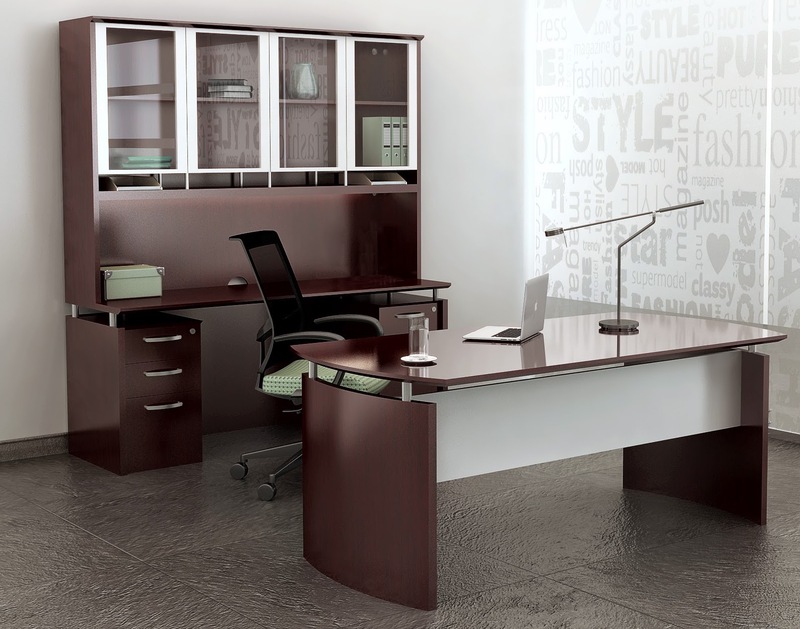 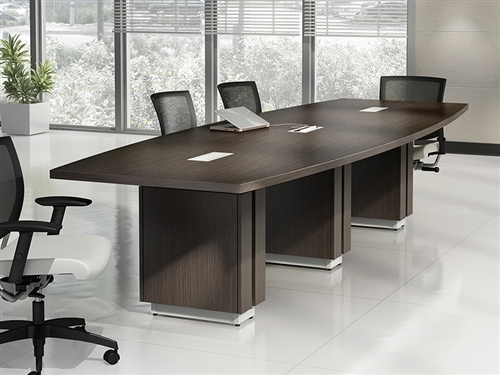 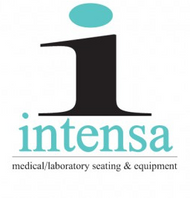 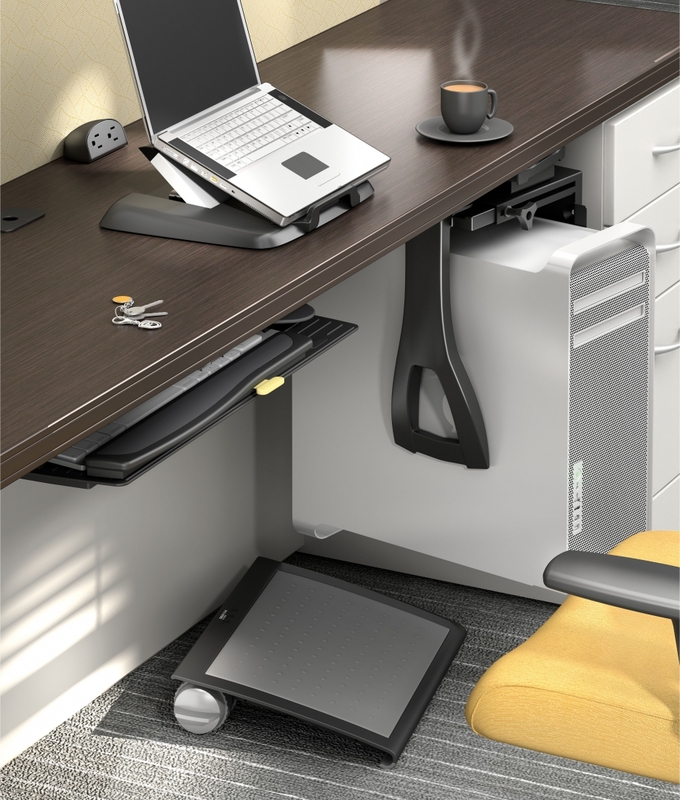 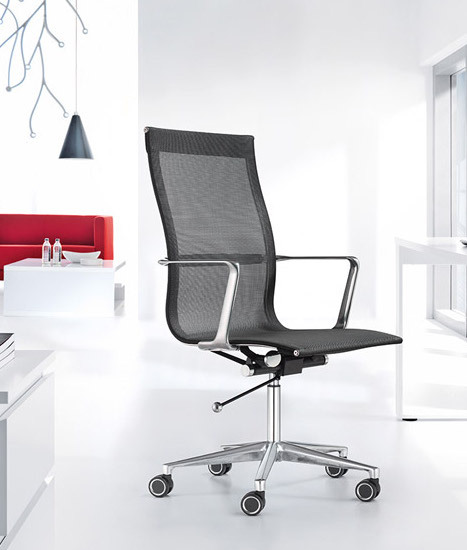 You can't go wrong with upscale office furniture from the Mayline Napoli collection. 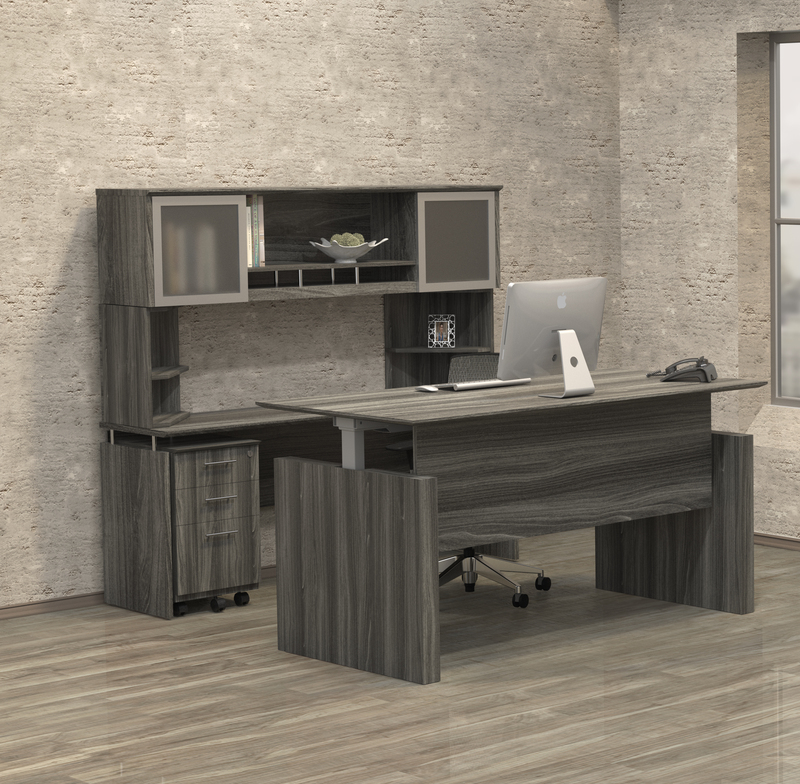 With its Italian influence design characteristics, Napoli desks are perfect for both modern and traditionally inspired remodeling projects. 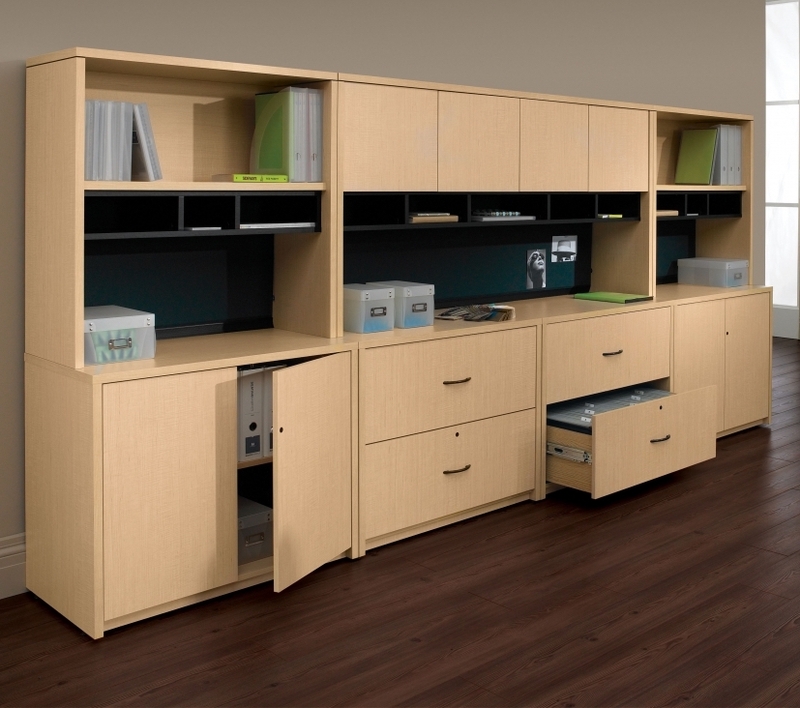 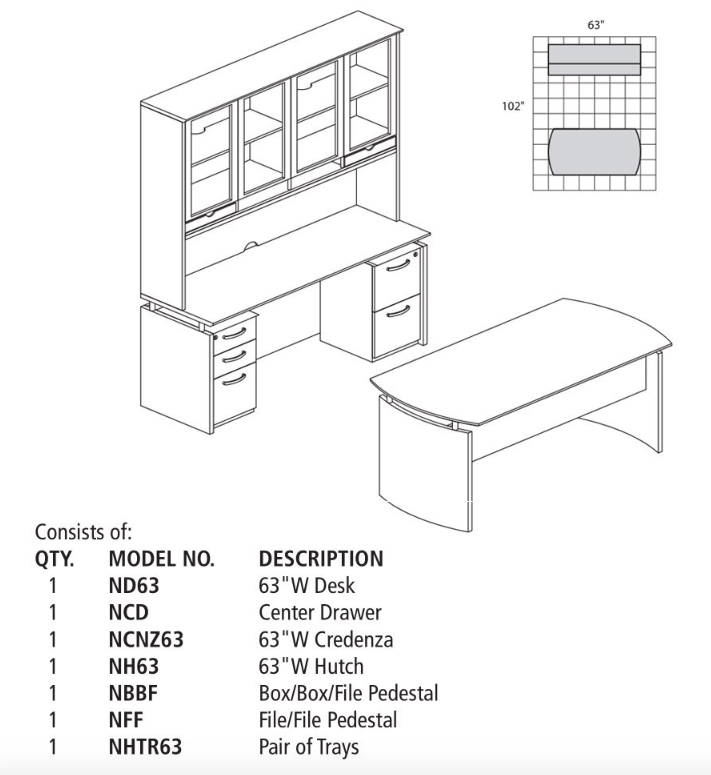 This NT37 Napoli typical includes a 63" wide front desk with pencil drawer, as well as a matching rear wall knee space credenza with glass accented overhead storage hutch.